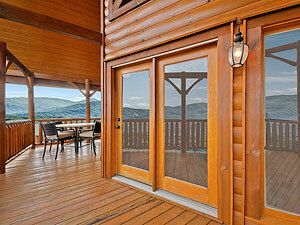 Nothin’ But Views Luxury Cabin Rentals is located in the prestigious and beautiful Legacy Mountain Resort. 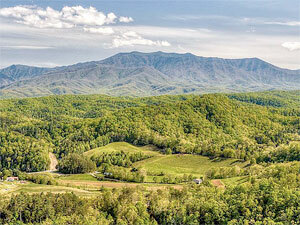 Our cabin rental is exceptionally well built with great attention to detail, and has one of the most breathtaking panoramic views of the Great Smoky Mountains of Eastern Tennessee. 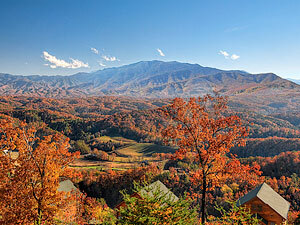 The cabin rental is conveniently located close to parkway in Pigeon Forge and Dollywood (6.5 miles), and the Great Smoky Mountains National Park and Gatlinburg (13 miles). There is truly something here for everyone! As you enter Legacy Mountain Resort and drive up the mountain, you will feel a sense of excitement taking in the multi-level vistas all around you. 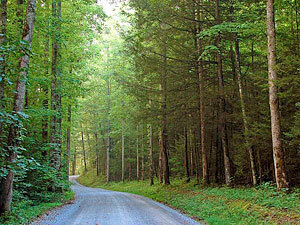 The roadway is wide, well cared for and easy to navigate. When you arrive at your vacation home, you’ll be welcomed by comfortable furniture, soothing decorations, cathedral ceilings, hard wood floors in the living room and dining room and tile in the kitchen and bathrooms. 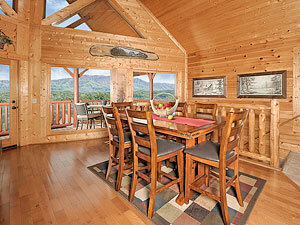 The cabin rental has tongue and groove walls and ceilings throughout. The open floor plan of the dining and living rooms allows you to see the spectacular view as you enter. Nothin’ But Views also has two large decks. 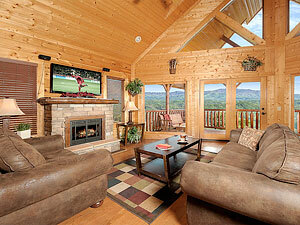 You’ll be torn between settling in, and just sitting and soaking in the relaxing views of Mt. 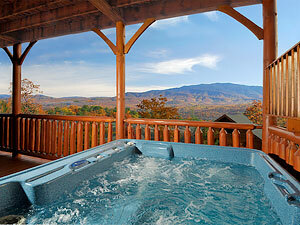 LeConte (with or without soaking in the deck’s inviting hot tub). 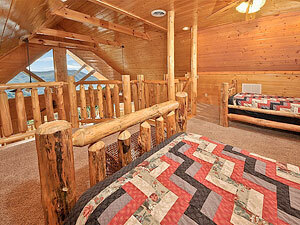 There is a private King master suite on each of the two main floors and a loft with two twin beds. 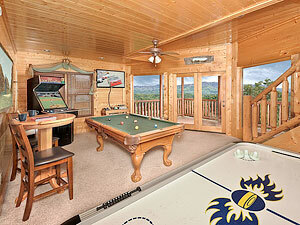 You’ll have fun with family or friends in the game room playing air hockey, pool and video games. 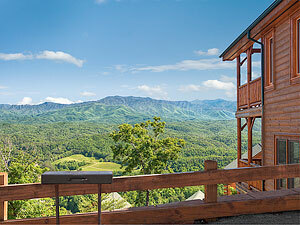 The country’s longest zip line course is on the resort property along with an amenities center at the top of the resort that includes an in-ground seasonal pool, covered picnic seating, workout room, sauna and steam room.